As much as I loved playing with LEGOs when I was a kid — hell, who am I kidding, I still love playing with LEGOs — it’s kind of hard to believe how much the building blocks have expanded throughout pop culture. In addition to the hugely entertaining Lego Movie there have been dozens of cartoons and direct-to-DVD installments, not to mention a mega-successful video-game line that’s spoofed everything from Star Wars to Marvel to Jurassic World. 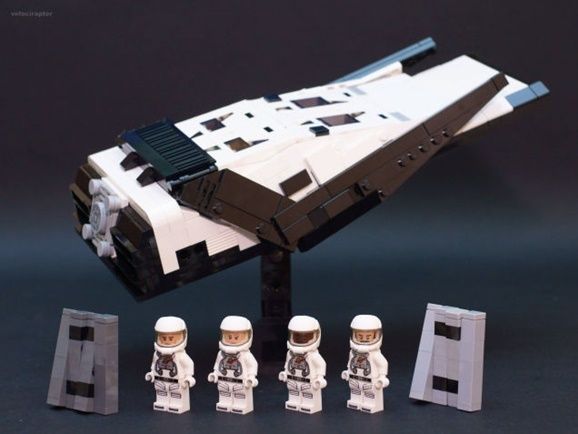 We probably won’t ever see any officially licensed LEGO Interstellar sets, but thankfully that doesn’t mean LEGO maniacs can’t just create their own, and that’s precisely what jp_veliciraptor did. It’s no secret that there is a certain level of specified talent needed to cut a film trailer, whether you’re going for mysterious thrills or in-your-face action. It’s like math. As such, the amount of overlap in techniques is getting all the more recognizable as time goes on. Never has that been more clear than in the Fantastic Four trailer below, which matches up perfectly with audio from the Interstellar trailer, in a way that seems to defy reality. I don’t have kids and never plan to, but there’s a strong contingent around the GFR offices who are raising another generation of little nerds, indoctrinating their impressionable young brains with images of robots, aliens, time travel, and all manner of wonderful geeky things. And it makes sense kids would take to sci-fi, again, it’s full of all kinds of weird, magical stuff like mysterious creatures, faraway lands, and robots (we really like robots). The free, open landscape of the genre mirrors the wild creativity of children, and they have some definite thoughts on what they see, like this young girl who reviews Interstellar, and another who is a big fan of Princess Leia’s Return of the Jedi slave outfit, though for different reasons than many of you. This girl may be six years old, but has a solid grasp on what Christopher Nolan’s space epic was all about—better than I would have at six, that’s for damn sure—even if she isn’t a huge fan because of the sad parts (Matthew McConaughey’s Farmer Guy leaving his daughter) and the scary parts (the big waves on the water planet). Though if you were confused by what the hell was happening as McConaughey floated around in the libary after travelling through the black hole, don’t worry, you’re not alone. 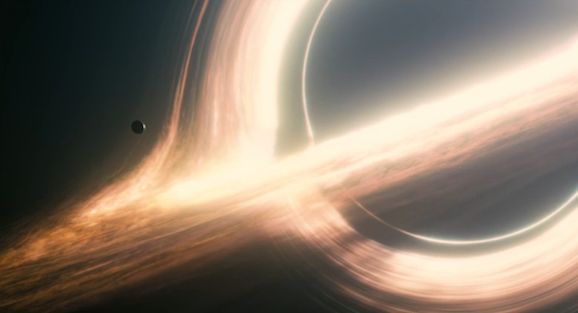 Christopher Nolan’s Interstellar may not be the massive, runaway hit that a lot of people expected it to be (it’s only earned $450 million dollars worldwide thus far and failed to win even a single week at the box office), but the intricate plot and time fluctuations have lead to a great deal of back and forth discussion, which is always entertaining. In case you, like many people, had trouble keeping the timelines straight, a couple of new infographics have popped up online to set things straight. 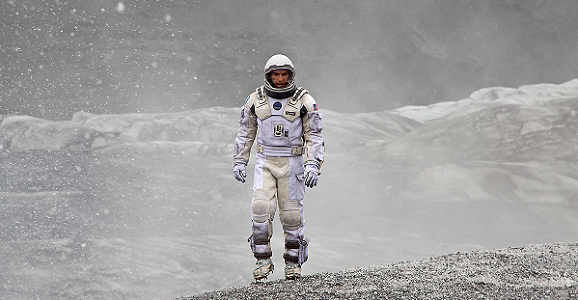 Just a heads up, if you haven’t seen Interstellar there are spoilers to be found ahead. 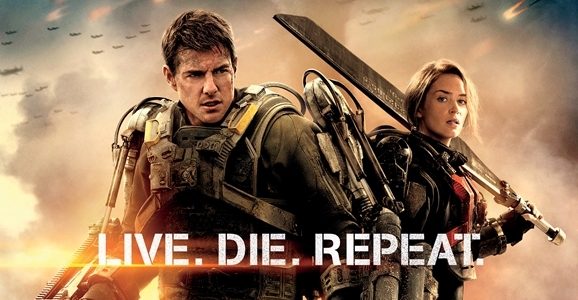 Then again, one of these images comes with its very own spoiler warning, so you get a two-fer.